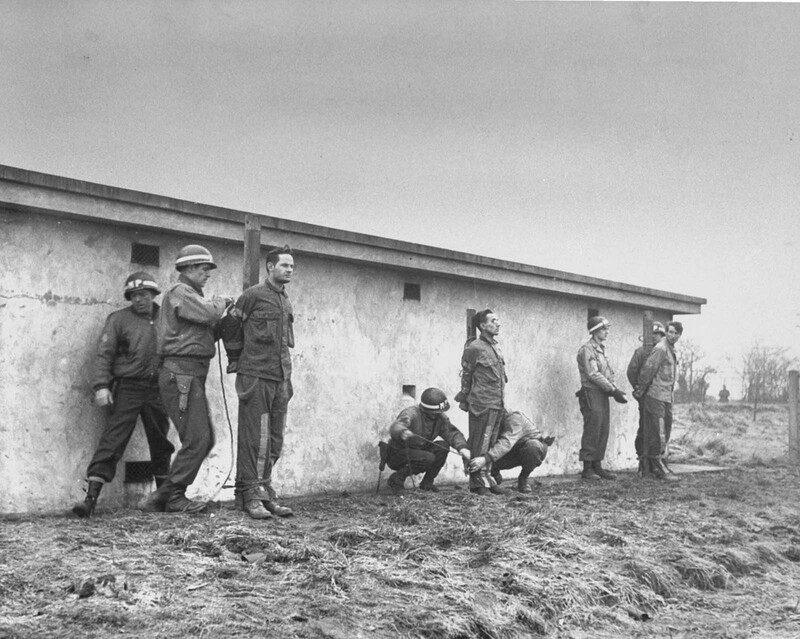 German infiltrators lined up for execution by firing squad after conviction by a military court for wearing U.S. uniforms during the Battle of the Bulge. December 23, 1944. 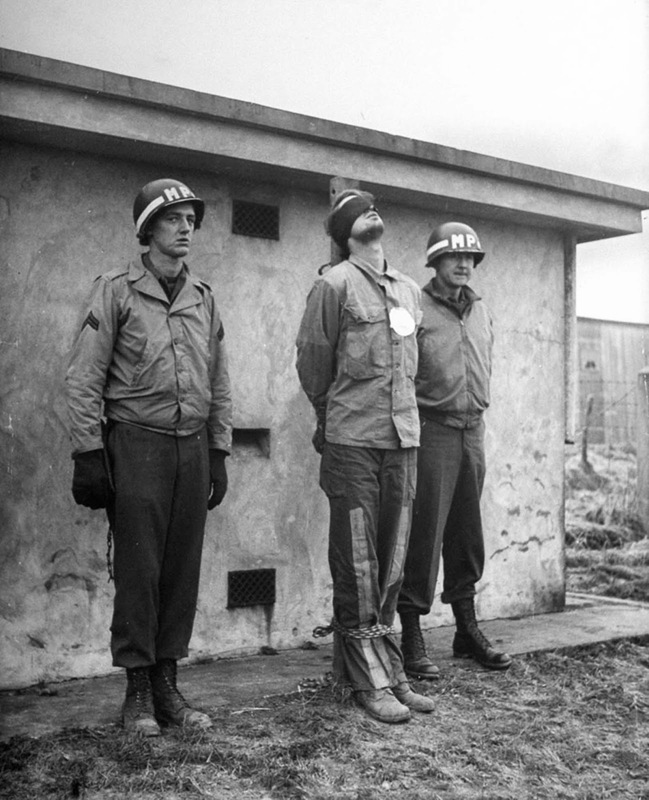 The soldiers in the picture were executed after a military trial found them on violation of the Hague convention concerning land warfare, article 23: “It’s especially forbidden […], to make improper use of a flag of truce, of the national flag or of the military insignia and uniform of the enemy”. Their mission was part of the Operation Greif commanded by the famous Waffen-SS commando Otto Skorzeny during the Battle of the Bulge. The operation was the brainchild of Adolf Hitler, and its purpose was to capture one or more of the bridges over the Meuse river before they could be destroyed. German soldiers, wearing captured British and US Army uniforms and using captured Allied vehicles, were to cause confusion in the rear of the Allied lines. A lack of vehicles, uniforms, and equipment limited the operation and it never achieved its original aim of securing the Meuse bridges. So great was the confusion caused by Operation Greif that the US Army saw spies and saboteurs everywhere. Perhaps the largest panic was created when a German commando team was captured near Aywaille on 17 December. Comprising Unteroffizier Manfred Pernass, Oberfähnrich Günther Billing, and Gefreiter Wilhelm Schmidt (shown in the picture), they were captured when they failed to give the correct password. It was Schmidt who gave credence to a rumor that Skorzeny intended to capture General Dwight Eisenhower and his staff. A document outlining Operation Greif’s elements of deception (though not its objectives) had earlier been captured and because Skorzeny was already well known for rescuing Italian dictator Benito Mussolini (Operation Oak or Unternehmen Eiche) and Operation Panzerfaust, the Americans were more than willing to believe this story and Eisenhower was reportedly unamused by having to spend Christmas 1944 isolated for security reasons. After several days of confinement, he left his office, angrily declaring he had to get out and that he didn’t care if anyone tried to kill him. The prisoners refused the ministrations of a U.S. chaplain. They kept their nerve by singing patriotic German songs. Pernass, Billing, and Schmidt were given a military trial at Henri-Chapelle on 21 December and were sentenced to death and executed by a firing squad on 23 December. After World War II, Skorzeny was tried as a war criminal at the Dachau Trials in 1947 for allegedly violating the laws of war during the Battle of the Bulge. He and nine officers of the Panzerbrigade 150 were charged with improperly using American uniforms “by entering into combat disguised therewith and treacherously firing upon and killing members of the armed forces of the United States”. 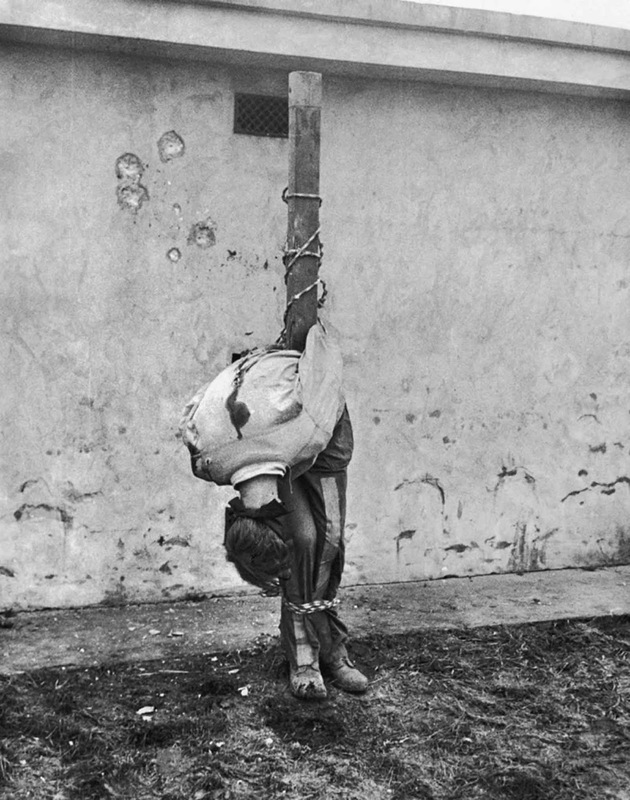 They were also charged with participation in wrongfully obtaining U.S. uniforms and Red Cross parcels consigned to American prisoners of war from a prisoner-of-war camp. Acquitting all defendants, the military tribunal drew a distinction between using enemy uniforms during combat and for other purposes including deception; it could not be shown that Skorzeny had actually given any orders to fight in U.S. uniforms. Skorzeny said that he was told by German legal experts that as long as he didn’t order his men to fight in combat while wearing U.S. uniforms, such a tactic was a legitimate ruse of war. Skorzeny escaped from an internment camp in 1948, hiding out on a Bavarian farm for 18 months, then spent time in Paris and Salzburg before eventually settling in Spain. 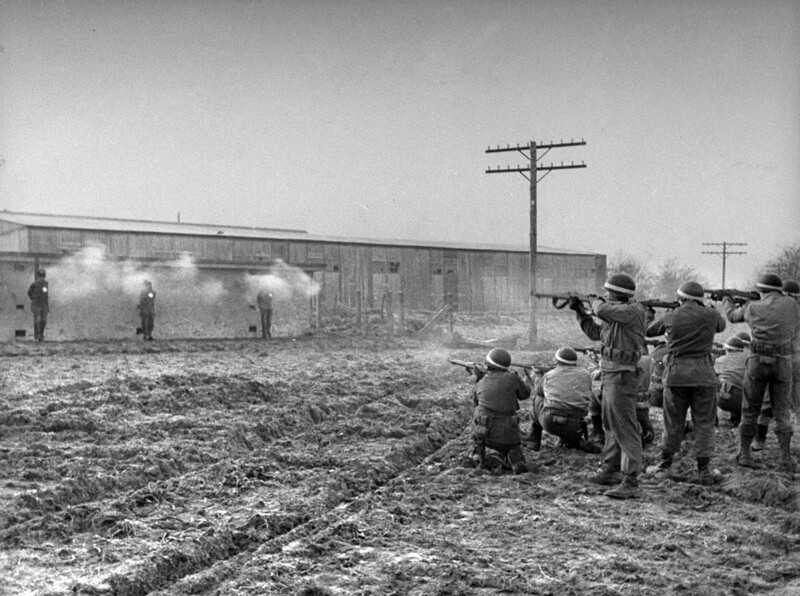 The infiltrators being executed. As a result of this mission, American troops began asking other soldiers questions that they felt only Americans would know the answers to in order to flush out the German infiltrators, which included naming certain states’ capitals, sports and trivia questions related to America, etc. 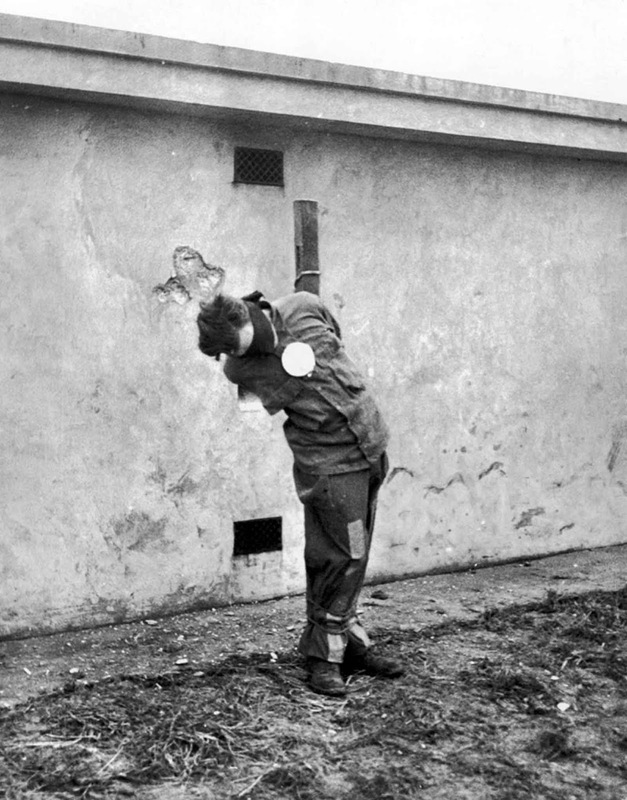 The prisoners were blindfolded and a large white paper target was pinned over their heart. Little did he know that a rumor had been spread in the Ardennes that one of Skorzeny’s commandos looked strikingly similar to Montgomery and had identified himself as such at several American checkpoints. Is that duct tape going from the knees down on the pants of the three Germans and if so what would've been it's purpose? If it's not then what is it, and what's it's purpose please? I think most likely a form of identifying them as prisoners. Prison stripes, if you will.